The Clinical Electrophysiology Section serves all arrhythmia patients in need of diagnostic and therapeutic electrophysiology, device therapy and follow-up. 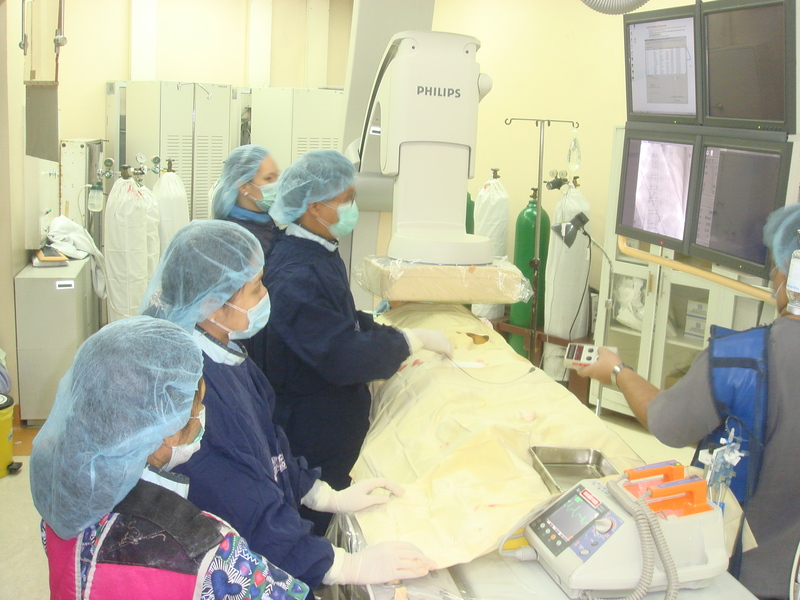 The Clinical Electrophysiology Section is composed of the Section Head, two (2) Medical Specialists, a Medical Technologist, a Nurse, a Clinical Research Fellow, and a Laboratory Technician. Currently, there are three (3) visiting physicians under the section. Rotating fellows in training includes a third year and a second year Adult Cardiology Fellows. Total number of graduates from the Clinical Electrophysiology Section from 1999 to 2009 is nine (9). The section is located at the second floor room 218 of Coronary Care Unit inside the hospital building with local number of 2250.